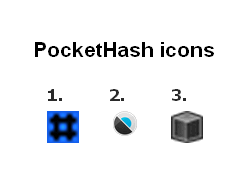 For me icon 1 is the best and icon 2- the worst. Also the file size has decreased- version 1.17 - 399 KB, version 1.21 - 290 KB. What I miss is support for SHA384 & SHA512 and possibly check-boxes for 'UPPER CASE' and 'Stay on Top'.